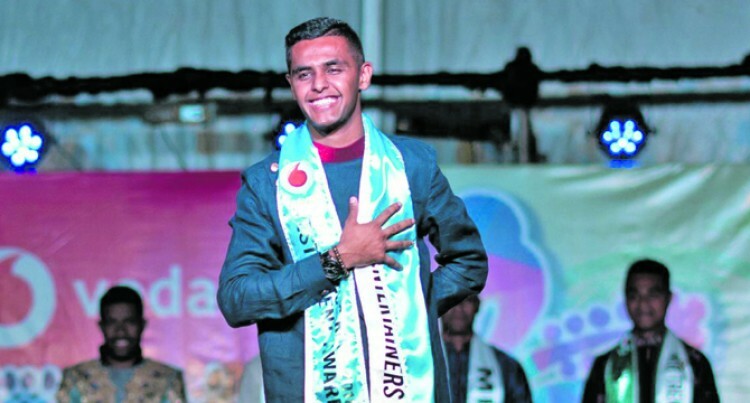 Mr Lei Entertainers, Mo­hammed Khan, scooped the King contestants’ Best Talent Award at the 2018 Vodafone Fiji Hibiscus Festival. Twelve contestants wowed the crowd with songs, dances, dedica­tions and many other forms of tal­ent at the Bank of Baroda tent at Valelevu ground on Tuesday night. The 21-year-old from Sigatoka was thrilled to be awarded with the award. The elder of two siblings thanked his sponsor, Lei Entertainers, and the former contestant sponsored by them, Ritchie Stuart, for all their support and help provided in pre­paring his performance. He dedicated his award to his hometown of Sigatoka, his spon­sor, his family and relatives and everyone who had supported him. He said the talent performance was hard work for him and the sponsors, but he was blessed to be supported by his team throughout the festival. “My talent performance was about the cultures I hail from. I tried to blend in the different cul­tures to show that we can be Fiji­ans,” Mr Khan said. He said through his performance, he also conveyed a message to the audience and all Fijians that every­body should love and prevent cru­elty in the world. “If we love, we will prosper. Peo­ple should start appreciating each other. It does not matter who, how or where the person is from. “Let’s appreciate each other and build a better Fiji,” Mr Khan said.